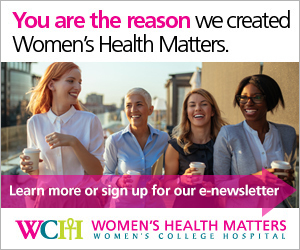 Women's Health Matters - Should I be taking a multivitamin? Vitamins are natural components found in the food we eat that help our bodies grow and function normally. Although eating a well-balanced diet can typically provide our bodies with all of the vitamins and nutrients we need, there are specific times during the life cycle, such as during childhood or as a young adult, when we may need more vitamins than usual. In these cases, one should consider implementing a multivitamin as a part of a regular diet to ensure adequate amounts of necessary vitamins. “If someone knows their diet isn’t balanced or they are neglecting to eat healthier foods from all the food groups, there’s no harm in taking a daily multivitamin,” says Nicole Bourgeois, registered dietitian, Family Practice Care Centre at Women’s College Hospital. There are specific populations of people that may especially benefit from taking a multivitamin. Those with health conditions that affect food absorption or digestive and bowel diseases such as Crohn’s and Celiac disease will get nutrients from a multivitamin that their bodies would not have digested otherwise. Other populations that should consider taking multivitamins are those with iron deficiencies, older adults, vegans and vegetarians, adolescents and students, women in child-bearing years and anyone whose eating habits are influenced by personal or religious beliefs. “Older adults would especially benefit from a multivitamin if there is a decrease in their appetite and also because of a decrease in the body’s ability to absorb nutrients as we age. If they’re not eating adequate amounts of food, chances are, they’re not getting the nutrients they need,” adds Behnaz Abedi, registered dietitian, Family Practice Care Centre at Women’s College Hospital. When deciding which multivitamin to choose from in your local pharmacy, some things you should look for on the label are the target age group, gender and the dosage. For multivitamins, mega dosages are not beneficial for your body, and can in fact be harmful. One factor that should not influence which multivitamin you buy is the brand name. This is an especially important factor for those who may be deterred from buying multivitamins because of the cost. For anyone who needs help evaluating their diet, it’s suggested to have a conversation with your family doctor, where they may refer you to additional nutrition counselling from a dietitian. You should always mention to your family doctor if you are taking a multivitamin, especially if you’re on other prescribed medications. It’s also important to remember that practising a healthy, balanced diet will usually get you all the vitamins and nutrients you need to stay healthy. While there’s certainly a benefit to taking a multivitamin if you’re not eating foods from all the major food groups, it should not be seen as a replacement for a lack of nutrient-rich foods in your diet.